On his final foraging mission as a chronman—a convicted criminal recruited for his unique psychological makeup to travel into Earth's past to recover resources and treasure without altering the timeline—James Griffin-Mars brings back a woman fated to an accidental death, turning them into fugitives. By the author of The Lives of Tao. 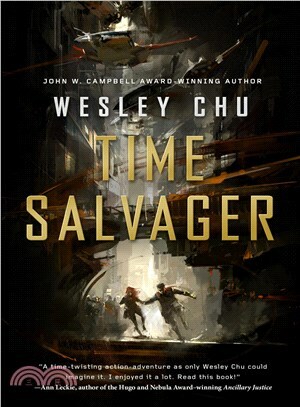 Wesley Chu is the winner of the 2015 John W. Campbell Award for Best New Writer. His debut novel, The Lives of Tao, earned him a Young Adult Library Services Association Alex Award and a Science Fiction Goodreads Choice Award Finalist slot.